I am still working on sorting through the Superior Art Creations (SAC) art packs and to make them easy accessible via the web (e.g. my web site and elsewhere). The sorting brings up some interesting facts about the art pack releases that I want to share with you. All SAC Art Packs are available for download here and also here at my site. ?? 2 of the 35 art packs included?? no music release at all, packs 18 and 19. All art packs included ANSI, ASCII and VGA pixel art work, but it was once?? close to the release of an art pack without pixel art. Pack 08 from September 1996 was 2 files in size, but it only included one piece of pixel art, a small SAC logo by Hetero that he created for the packs SACtro (SAC0996A.ZIP and SAC0996B.ZIP). I guess we were lucky hehe. 2 pixel art images in pack 33 by Asphyx/SAC were a dupe (asx- madhat-final.jpg and asx-warlords-logo.png). The two images had been released already in SAC Pack 32 five months earlier that same year. It almost looked like as if Pasha duped a picture for art pack 27, but the images are different (p-abs.png). He just named the file for another logo the same as he did a logo for the same group that he created in the past (funny, he obviously had no directory with all his art work in it, like the rest of us hehe). 2 Tracker Modules were dupes. But also the musicians duped once. Two of them, one song each in the same art pack. Crome (CRM) and Maktone (MT) included a song in pack 28, which they already released in a previous pack (crm_dustinmyeyes.XM and mt_FLT01.MOD). 2 art packs did not include a File_ID.diz file to describe the content of the ZIP archive, pack 21 and 22 (shame on you Ferrex ;)).?? Since art pack 29 was no member list or FTP/BBS list included in the NFO files, which makes it hard to impossible to complete my “All-Time SAC Member List“. 2 members, both pixel artists, used the same file prefix for some time, creating confusion, not just back then, but also today (I know, because I got confused too). Kenet and [K] used both the file prefix “k-” in various art packs. “[K]” also used “K_”, with the underscore instead of the dash and Kenet used his full name as prefix in his file names. I have not checked who used which prefix when, but it surely created a big mess, when I aggregated the artwork, because you files from both with the prefix “K-” in the file name. 484 ANSI art pieces were released in 35 art packs between December 1994 and March 2007. The packs also included the following …. 3,023 ASCII art logos, file_id.diz, NFO layouts, FTP site designs etc. Not including the SAC releases File_IDs and NFO files itself. 115 Executables (.EXE and .COM files), excluding tools, installers and viewers, but including Cracktros, BBS intros and Still Images that were converted to an executable (e.g. a BBS ad ANSI in a wrapper to show the ANSI without having the need of the ANSI.SYS driver loaded). Also included in this figure are the SACtros that came with some of the art pack releases, especially during the early days. You can watch the video recorded 13 SACtros that were released with the SAC Packs on my web site. I also captured most of the other intros from the packs already. I have not put them up on my web site yet, but on YouTube. You can download all of my recordings and more via this share at Mediafile.com and its subsequent sub directories. 534 Pixel Art Images. I converted all images that were not already?? in Jpeg or PNG format to PNG (e.g. Deluxe Paint .LBM files, but also old GIF files, BMP, PCX and TGA). I want to put them up on the site one day, but for now Flickr.com must suffice. I created a special collection with a bunch of sets for all the pixel art images there. I just converted all the tracker modules and SIDs to MP3 format for the later use on my web site, to make the music accessible to a broader audience, because you cannot play tracker music without special software or player plug-ins. The conversion was a pain in the neck. I used DeliPlayer2 (no link, because their web site DeliPlayer.com seems to be down, but see this site for more info.)? ?for most of the music, which worked fine, but unfortunately only one module at the time. I ran into some problems with about 15 or so of the over 400 mods. DeliPlayer said that it believes that the files are corrupted and refused to play/convert them. I checked with ModPlug Player for Windows and they played back fine. I also tried WinAmp with the LifeAMP plug-in and the internal MOD input source plug-in, but the results were mixed. I have not checked the BASS module player plug-in and thus do not know, if it is any good. Also useful is the SidPlay plug-in for WinAmp for playing back the SID music files. 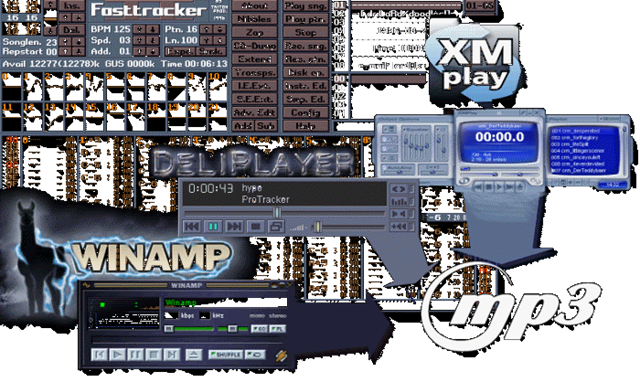 But then I discovered XMPlay, which beats all of the players and tools above. It has tons of plug-ins as well and even supports WinAmp plug-ins as well. With XMPlay was it a breeze to convert tracker music to MP3, WAV or other formats, including in batch mode and the option to save the results in the same folder as the source file. Damn, if I only had known earlier. It would have saved me hours of time that I wasted on manually converting one song at a time. If you don’t want to download all the art packs, but are interested in some of the stuff, then I have something for you that you might like. 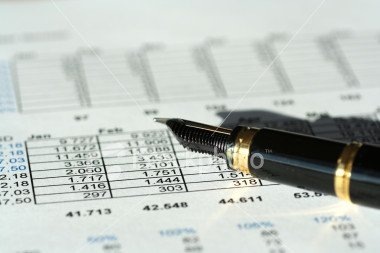 I sorted the original content of the packs by content type and put them into individual RAR archives. I did that already for the music files and the pixel art. I have not done yet a archive for the ANSI and ASCII art yet. I already had packages for the Intros and Cracktros available for download directly from my web site here. All pixel art releases (534 images) in original format (LBM, PCX, GIF, JPG, TGA and BMP were used by the artists). Total size of the RAR archive = 50 MB. Download via Mediafire.com here. 194 XM Fast Tracker 2 Modules (22 MB .RAR File) + it also includes the 47 modules from the two music disk releases by Svenzzon and Crome. Download via Mediafire.com here. 156 MOD Pro Tracker, Take Tracker and Noise Tracker Modules (2.4 MB .RAR File). Download here. 26 SID Commodore 64 Music Files (50 KB, yeah, kilobytes :), .RAR File). Download here. 22 S3M Scream Tracker 3 Modules (2.8 MB .RAR File). Download here. 14 DMF X-Tracker Modules (3.1 MB .RAR File). Download here. 12 MP3 Mpeg-1 Layer 3 music files (35 MB .RAR File). Download here. 4 IT Impulse Tracker Modules (1.5 MB .RAR File). Download here. Most if not all module formats are fully supported under Microsoft Windows, Linux, Unix and MAC OSX. A belate response to your comment. After reading it a second time, I thought that it warrants it. Missed it the first time around :). Playing back old tracker mods (in the various formats they come in) requires special software or special plug-ins for widely used programs (e.g. Winamp). I cannot expect that a person who does not know anything about those things has the required stuff installed to be able to listen to it. Btw. not every player supports all formats that are out there. I am compiling a list of music formats, their origin/use and which player/plug-in supports each of them. The list has already over 280 entries :). Okay, SAC musicians usually stuck to the mostly known and widely supported ones, like the traditional MOD, XM, S3M and C64 SID, but some are in more exotic formats like IT or DMF. Converting them to MP3 makes them simply more widely accessible, because MP3 is supported by pretty much every computer with the standard browser plug-ins and/or standard desktop media players that comes with the OS.